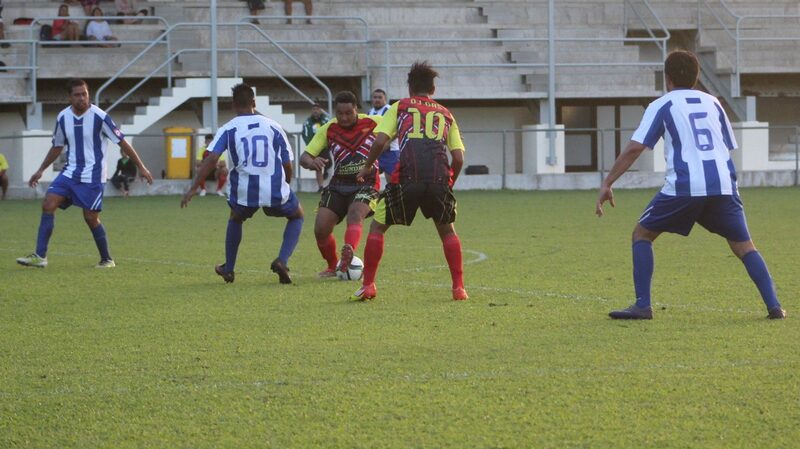 In tomorrow’s feature Premier men’s match Puaikura will play Tupapa Mararenga at the CIFA Complex. With last weeks 3-1 win over Titikaveka, Puaikura Premier mens team have now played twenty games so far since the start of the 2016 Footbal season in July last year without losing a single game. No doubt Puaikura would like to continue their winning form and get another win in todays encounter against Tupapa Maraerenga. Last week against Titikaveka, Puaikura looked a bit rusty early in the game, but as the game went on the confidence and combination quickly came together and the team won convincingly by three goals to one. Kimiora Samuel, Anthony Samuela, goal scoring machine Dwayne Tiputoa and gusty defender Jarves Aperau will be the key players for Puaikura in todays encounter. Tupapa Mararenga on the other hand who had a narrow 3-2 win over a determined Takuvaine side last week have to be at their best and hope for a miracle if they want to have any chance at winning and put an end to Puaikura’s winning form. In the other match Takuvaine will take on Titikaveka at the Takitumu school grounds. Both Premier men’s match will kick off at 3:45pm. Todays soccer games will commence at 12:30pm with the Under 14 girls division.